Update: Well, we didn’t make the cut, but thanks for those of you who voted. It was, as they say, an honor to be nominated. 1. 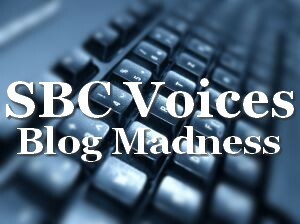 Go to SBC Voices Blog Madness page. 2. Confessions of a Small-Church Pastor is in the Midwest bracket (go figure) at #13. 3. Check the box across from this blog in the voting area below the list of blogs. Don’t confuse Confessions of a Recovering Pharisee (#12) with this blog. My name — Chuck Warnock — is next to this blog’s name. 4. Vote and then look at the results. Hopefully, we’ll make the cut. Thanks for voting. Remember, as they say in Chicago, vote early and vote often!